Infuse your brisket with the appetizingly aromatic taste of an old-fashioned smoke house. We're pulling no punches by saying this is the best barbecue brisket injection you will ever use! With a succulent synthesis of signature spices and moisture-retaining components, combined with smoky mesquite flavoring and dehydrated beef stock, you can count on producing a mouthwateringly tender brisket worthy of even the most seasoned (pun intended) BBQ grillmaster. 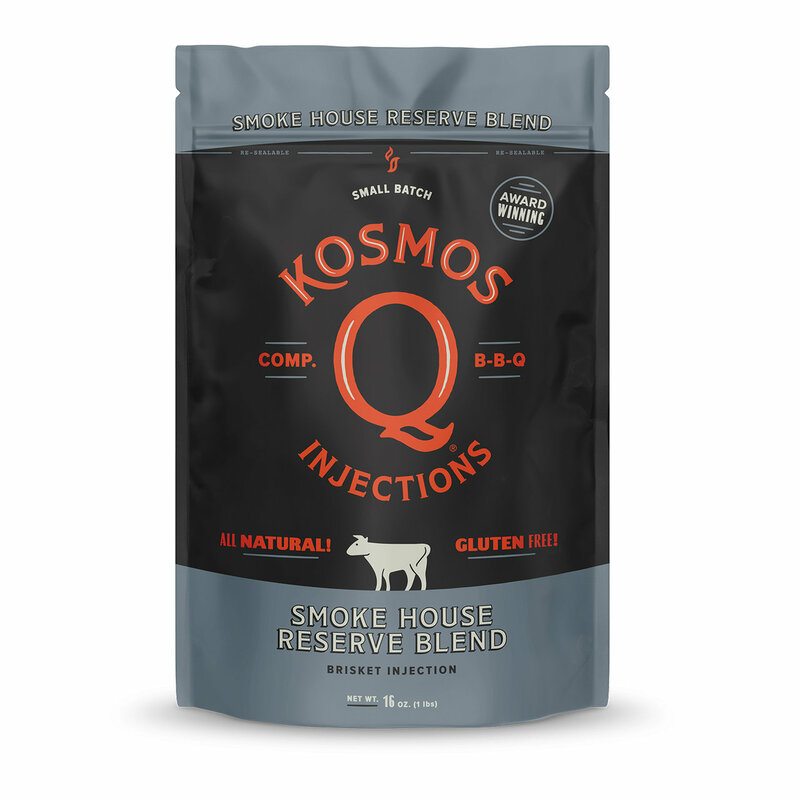 To truly win a judge's affections, you need Kosmo Q's Smoke House Injection! INGREDIENT STATEMENT: Sodium Phosphate (36.4.%), Hydrolyzed Soy Protein, Beef Flavoring (Beef Stock, Beef Flavor, Salt), Salt, Modified Corn Starch, Autolyzed Yeast, Onion & Garlic Powder, Sugar, Natural Mesquite Smoke Flavor (Contains Maltodextrin), Disodium Inosinate & Disodium Guanylate, Xanthan Gum, Spice. CONTAINS: Soy.